Sean is incredibly knowledgeable on all things running and fitness. Sean coached me for 8 months and brought my 5K down more than 90 seconds and took 40 minutes off my marathon PR to break 3 hours! He was very flexible on scheduling and thoughtfully answered countless questions on training theory, mechanics, run strategy, and diet. Sean had a great ability to gauge the fine line between tolerance for mileage build and avoiding injury. He strategically pushed me out of my monotonous training routine with a mix of speed work necessary to attain the level of physical and mental ability required to hit my goals. Perhaps most importantly, he is a very down to earth person who genuinely wants to see you succeed. I highly recommend working with Sean! I started training with Sean in January 2013. This is our 5th year together. I've been coached by a lot of endurance athletes over the years and Sean is the best of the mix combining technical know-how, progress & feedback, real-time motivation, and ultimately results. Having Central Park as our track is extraordinary. We have an unlimited number of locations to run. And Sean is a speed work whisperer. The progress I've made on 100s, 200s, 400s, 800s, miles and an endless variety of other sets is why I keep coming back to Sean every year. We use the 5th Ave Mile as my annual marker set. And 2018 was my fastest 5th Ave mile! My daughter's been coached by Sean for six years. His technical knowledge is excellent, but more importantly, Sean is just a really good person, building kids' confidence and love of the sport while pushing them to see what they're capable of achieving. 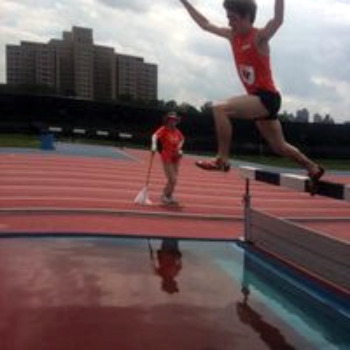 I met Sean when I was 18 and decided to run track for Hunter College. He was one of the coaches. I had some experience running in high school, but nothing out of the ordinary. Within 2 years of being coached by Sean, I transformed as an athlete and was able to crush events from the 800m to the 10k. As a coach, Sean taught me how to prep for each race/workout, how to properly execute each workout, and how to recover. 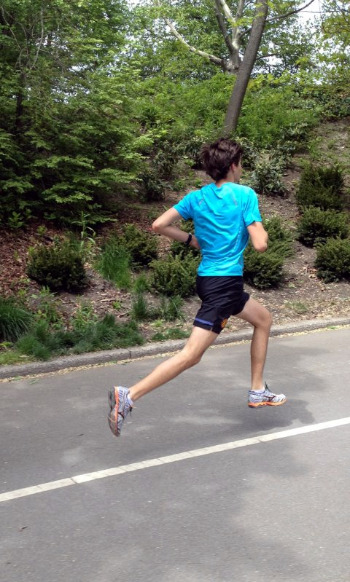 NYC Running Coach Sean Fortune helps runners of all levels be their best. First time marathoners to Boston Qualifiers. I’ve been training with Sean since July 2013. I knew Sean from a time I was coached by him at Urban Athletics back in ‘08 and had good memories of then so wanted to see what one-on-one coaching might be like. 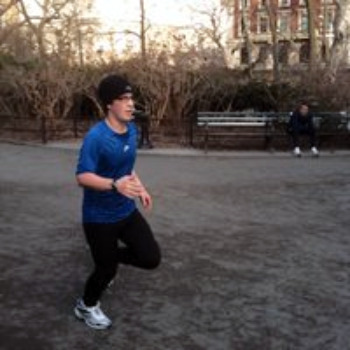 During that brutal winter last year, Sean and I trained outdoors every single week. Usually 2x a week. Seriously, we didn’t miss a week. That’s the kind of coach I want. Rain, sleet, snow, freezing temps — he showed up for me and helped make me a better overall athlete. I mostly depend on Sean for my speedwork. He keeps me accountable, on track, and informed of the progress I’m making through his solid feedback. This has made a big difference in my running speed and strength. He’s very knowledgable, direct, and to-the-point which is my preference for a coach. I’m not much for chit-chatty coaches and he’s not that. I want Sean as a coach, not a friend. Tells it to me like it is. Acknowledges breakthrough workouts. But also tells me when my performance and output stinks. NYC Running Coach Sean Fortune specializes in working with youth track runners, both middle distance and distance. Since 2008, he's coached hundreds of middle school and high school runners to personal bests. I began running with Sean a year ago, and in my time with him I cannot honestly say that there has been a single day when I have not wanted to go to practice. Sean has such a charisma, such love for running, which rubs off on all those around him, so every day we put all our hearts into our running. He has always been there helping us and guiding us, going out of his way to train us to reach our potentials, and because he will do anything for us, we will do anything for him. We, as a group, love Sean and love running with him because he is not the aloof impersonal school coach so many of us have had. He is the down to Earth coach, and friend, who teaches not only to run fast, but to love the sport of running as he does. Sean expanded my knowledge of the running community, increased my skills as an athlete and made me a better runner overall all while understanding the challenges of balancing my academic life with my love of running. 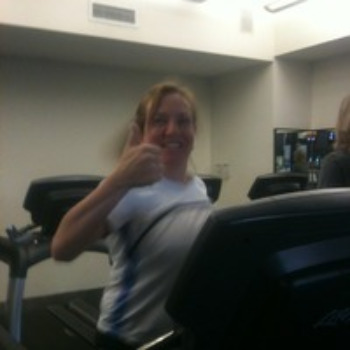 Sean has truly helped me take my running to the next level. Under his direction, I’ve reached a level I previously couldn’t have imagined reaching, and, more importantly, had a great time! Ever since I’ve started working with Sean, my running has improved immensely including my love for the sport. Sean has helped me develop a training plan that Is customized for me and he has given me the structure and discipline I needed. He is an amazing teacher and is extremely patient with every little detail. 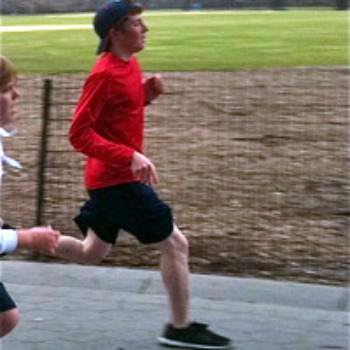 I have more confidence and than ever that I can be the best runner I can be thanks to Sean! 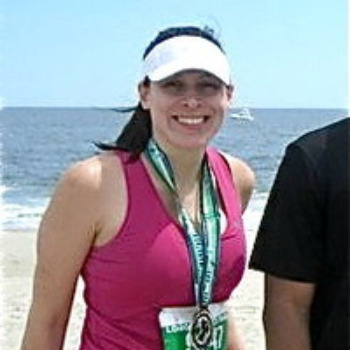 Back in 2009 I signed up for the Tunnel to Towers Run. My goal was just to walk/jog and just finish. Low and behold after putting my mind to it I was able to jog (very slowly I may add) but didn’t stop the whole time. Shortly after this event, and doing extensive research I came across Sean Fortune. It was because of the time I spent with him as a coach, that has allowed me to go further than I ever have. He takes the time to explain things, analyze you and above all else gives you the encouragement you need to succeed. It is because of him that I will end up being a lifetime runner. I may not be the fastest person out there, but because of him I have grown to love the sport. I never realized running could be so fun. Sean is such a terrific coach. He’s patient, encouraging, inspiring. He has a bag of tricks that has broken down the whole mystery of running and how it is I can actually get better at it. I can’t swear on many things but one thing I am sure of, training with Sean will make you feel better in every sense of your body and mind. He focuses on your strengths and weakness in running form and your racing strategy. What I like about Sean is he explains each detail of running in how you can benefit to making your running effective and fun. He has adjusted my workouts to my level and has made me a stronger runner. He has given me the confidence and guidance that I need to motivate me to do more than I would ever do on my own. When I am training with Sean I am increasing my mileage and have been eating less junk food, I highly recommend Sean, you won’t be disappointed. I have been training with Sean for the past 2 years and has gotten me ready for each race, half marathon and for the NYC marathon and I have been very pleased with the results. When I first started training with Sean a year ago, as soon as he mentioned being a running coach, my immediate response was “I’m not a runner, I can’t run.” A year later, somehow he’s transformed me from someone afraid of running to someone who’s pursuing racing plans. His coaching and guidance has shown me that my body can do things I never thought were possible. I can proudly say now, that I am, after all, a runner, and that’s all thanks to Sean. For UES Running Coach Sean Fortune his coaching profession is personal. It's not just a "job." Coach Sean lives, breathes, studies, and practices running daily. I have really enjoyed getting to know, and training with Sean, both individually and with the group. I feel that I have become faster and stronger under his guidance. In addition, running with the group has also been great. I look forward to continuing to work with Sean in the coming years. I can’t think of any other open running program to join besides running with Sean. During cross country season in the fall of 2011, I wasn’t in the leading group, not even close. However, Sean’s running program brought me from being an average - inexperienced runner, to a runner who is capable of training 6 days a week and placing well in the fast heat the last race. So far, I am surprised by how fast I could run my favorite events. Not only that, I enjoyed the program, the people I ran with and right now I feel more confident about earning medals in some of my school’s races. 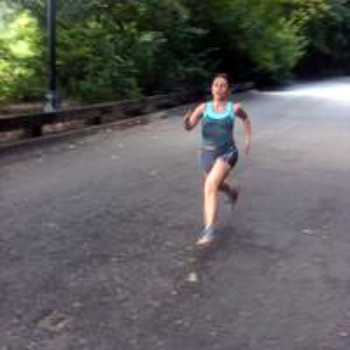 Training with Sean has completely transformed me as a runner. I have a new understanding of the sport, my body, and training methods that have made me an exponentially better runner since I started working out with Sean. I came to him with goals for the winter, and under his coaching and dedication, we turned them into realities. Sean’s been inspirational and motivating. I have been a runner for 20 years. After a hamstring injury a few years, I had been unable to regain my momentum. Since working with Sean, my running has been completely reinvigorated. 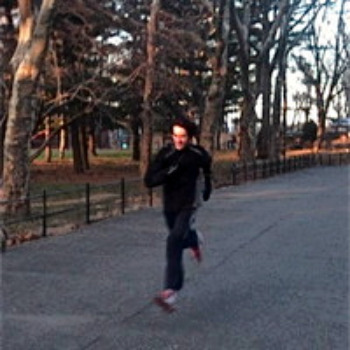 NYC Running Coach Sean Fortune is a former Nike sponsored runner through his previous club team. As a successful competitive runner who's won multiple New York Road Runners' races, he understand the unique needs of highly competitive runners.